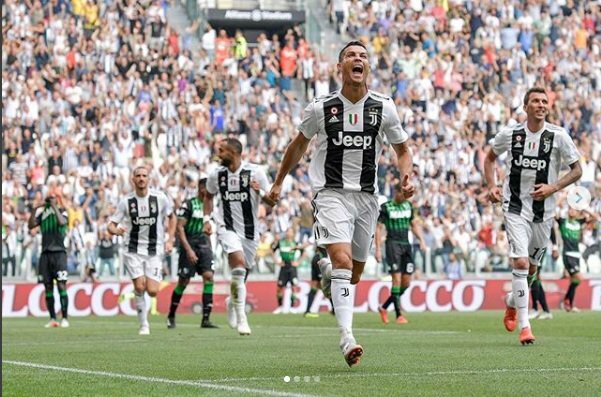 Juventus coach Massimiliano Allegri hailed the impact Cristiano Ronaldo was having on the Italian champions as the Portuguese star became the first player to achieve 100 Champions League wins in Tuesday's 1-0 success over Valencia that clinched their passage to the knockout rounds. "Ronaldo gives us a sense of security and confidence," said Allegri of the beaten finalists in two of the last four editions of the elite European competition. "The team is essentially the same as last season. We've grown, become faster in playing the ball, but then of course, there is Cristiano Ronaldo. "This team is constantly improving – they're passing and putting play together more quickly." Ronaldo -- who joined Juventus last summer from Real Madrid -- is targeting a sixth Champions League title to add to his four with the Spanish team and one with Manchester United. Last season they exited in the quarter-finals to Ronaldo's Real Madrid. Their win combined with Manchester United's late 1-0 win over Young Boys at Old Trafford means Valencia crash out of the competition. Allegri's side will now have to wait to see whether they top Group H when they play their final group game mid-December in Bern against Young Boys.